Once completed, you can download the map as a PNG file by first clicking the “Download Map Preview” button right below the zoom level buttons. From here you can preview what the download image will look like and pick from four pre-made sizes. You can even move the map and zoom in or out for arrangement. You can select the size and page orientation in which the map will be saved and/or printed in by clicking on the defaulted "letter/landscape" drop-down. Letter and Tabloid are the sizes of the paper that will be used when saving and/or printing the map. Letter measures 8.5 inches by 11 inches and Tabloid measures 11 inches by 17 inches. 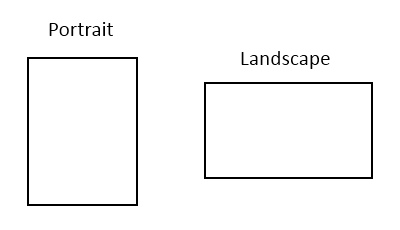 Landscape and Portrait are the page orientations. A map in portrait mode is taller than it is wide and a map in landscape mode is wider than it is taller. Click “Download” when you are ready to download the image. To exit Map Preview mode click “Cancel” next to the download icon.